Sony PlayStation 5 to support 8K graphics and 3D audio | What Hi-Fi? Is Dolby Atmos gaming on the cards for PlayStation? In an interview with Wired, PlayStation chief architect Mark Cerny revealed some key features of the forthcoming PlayStation 5 (or whatever it will be named officially). Unsurprisingly, CPU and GPU will get an upgrade. 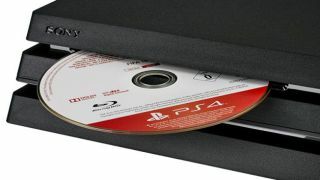 It won’t be disc-less like the rumoured Xbox One S All-Digital Edition, and it will be backward-compatible with PS4 games. But the real innovation looks to lie in the console's AV hardware capabilities, with Cerny talking about 8K graphic support (for all, er, those 8K TVs we’ll all have next year...) and – more interestingly, and practically – 3D audio. The PS5's new AMD processing chip will have a custom unit for 3D audio – a feature that Cerny says won’t require any extra hardware, simply transpiring through TV speakers and compatible headphones. Will the PlayStation 5 be the first Sony console with Dolby Atmos support, then? The PlayStation 4 is limited to decoding Dolby Digital and DTS 5.1 soundtracks via HDMI or digital optical, and the 4 Pro can only play Atmos-encoded content as True HD. Meanwhile, Microsoft’s Xbox One already supports Dolby Atmos and DTS:X audio for both gaming and 4K Blu-ray playback. Speaking of competition, Cerny reportedly kept shtum on cloud-based gaming for the next-gen PlayStation – something Microsoft and Google are venturing into with Project xCloud and Stadia respectively. With no console appearing this year, there's plenty of time for Sony – not to mention gaming enthusiasts – to ponder the details over the final design and specs. Indeed, it's going to be a long year filled with anticipation.